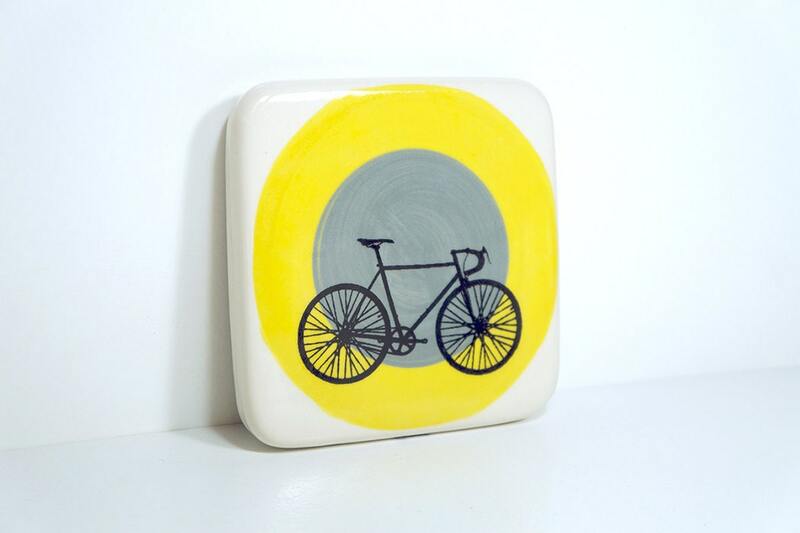 tile with a road bike on yellow & storm colour block target. Made to Order. ★ Dear customer, this is a stock image; your tile will closely resemble this tile. They are handpainted backgrounds, so please keep that in mind. Any question or concerns, please ask. We don't mind and want you to be confident with your purchase! As you can see from the Flickr set, we press the tile -We made the press too by the way!- using a porcelain claybody, fire it, then either glaze it a solid colour or it gets painted with a decorative underglaze background and clear glazed. 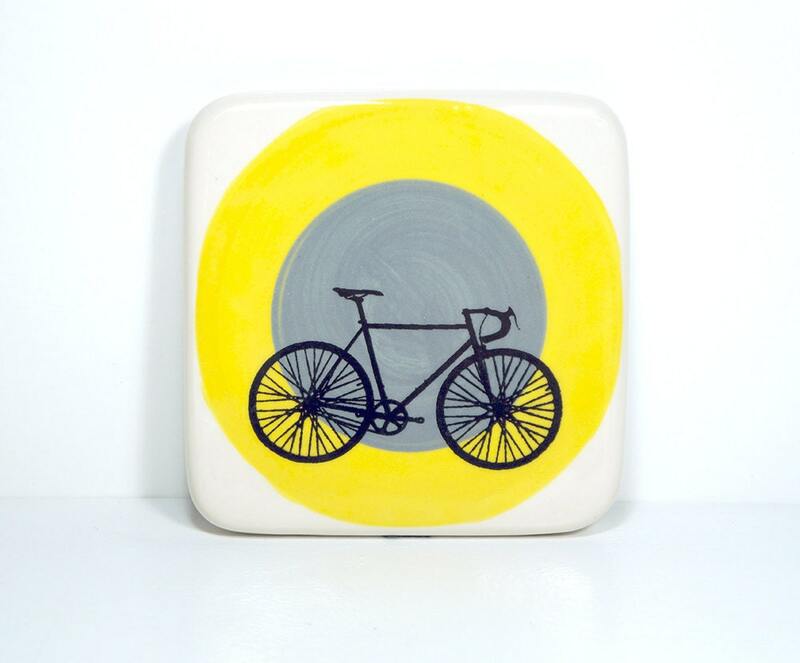 Our images are all screenprinted using overglazes, then fired into the glaze (making them indelible). 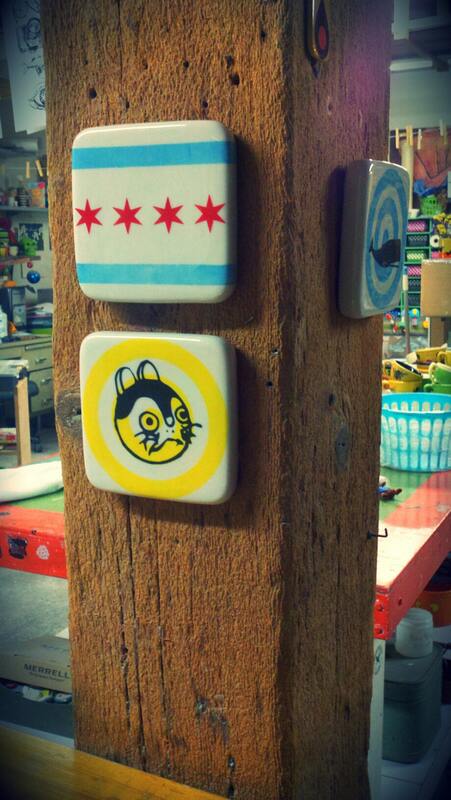 The tiles have a little drilled-out recess in the back for hanging as an art piece - Or you can also use it as a trivet (we're very into the dual-purpose ware here :) - See middle image. Our logo is on the piece so you know who made it and where it hails from. Feel free to contact us with questions & thank you for checking us out!